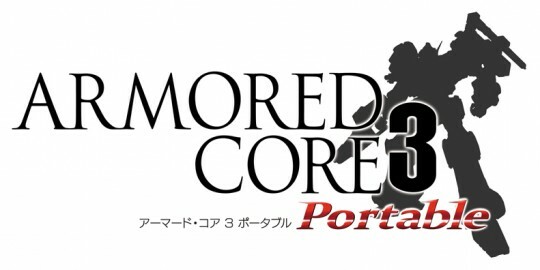 Armored Core 3 Portable is now available in the US Playstation store for $14.95 for your PSP. Enjoy your mech action on the go, because this one doesn’t require a UMD making the game load faster than its UMD based counterpart. Here’s hoping for an English SL portable and LR portable as well. Thanks to forum member R.Leonhardt for the heads up. 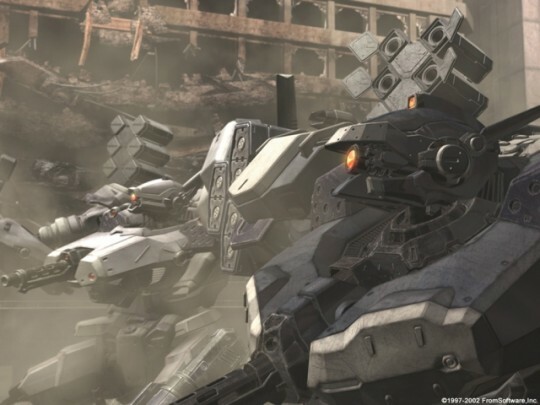 Joystiq has recently reported that the US based ESRB has rated an English version of Armored Core 3 Portable, and this may hint a possible English release. However, no other details have emerged aside from this particular stub; there is no word on which publisher has taken the task of distributing the game in the US or in other countries outside Japan. 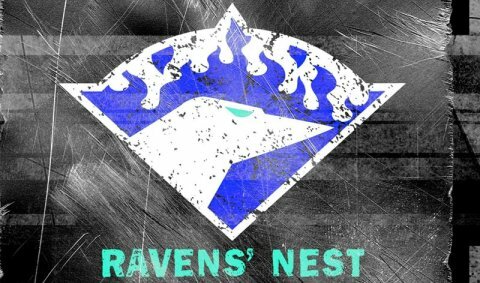 All that’s left is to hope for an English localization of the game and its sequels Silent Line Portable and Last Raven Portable. One of FROM’s biggest hurdles in converting their PS2 Armored Core titles to the PSP was the control scheme. The inherent difference in the number of buttons on the dual shock and the PSP meant that the controls simply couldn’t be the same. 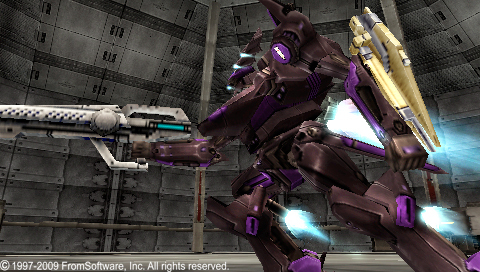 This is evidenced by how FROM’s first portable Armored Core game, Formula Front, was initially an AI arena only. 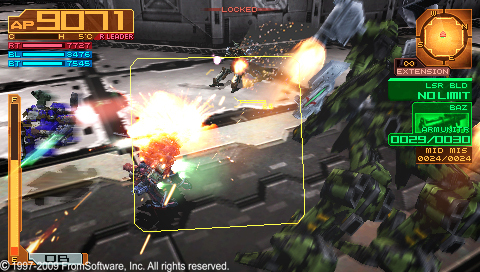 FROM eventually did implement player control, but with automated vertical aiming due to the absence of the L2 and R2 buttons on the PSP. This made for what enthusiasts considered a dumbed down Armored Core experience. With the release of Armored Core 3 Portable and the announcement of Silent Line Portable, many players wondered how FROM would work around this button handicap. The image below shows how they decided to lay out the default controls.